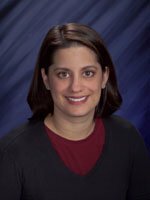 Congratulations to Pacific Northwest National Laboratory microbiologist Dr. Vanessa Bailey, who has accepted a 3-year term beginning January 1, 2012, as an associate editor on the editorial board of the Soil Science Society of America Journal (SSSA Journal). The bimonthly journal is the official publication of the SSSA, an international scientific society that fosters the transfer of knowledge and practices to sustain global soils. Bailey will approve manuscripts for publication in the areas of soil biology and biochemistry. At PNNL, her research focuses on the microbial ecology of soils and other terrestrial ecosystems, which includes efforts to understand the carbon cycling processes of microbial communities.